Dotnet global tools are a great new feature in dotnet core. They allow creating small tools and publishing them with the same methods and thus ease as a nuget package. Good uses for them might include distributing internal tooling, or helper command line tools to go along with a nuget package, for example the AvroGen module used for generating Avro serialisation/deserialisation classes. However the uses are only just starting to be explored, and it’s a good time to try one for yourself! Obviously, change the above to reflect your case. 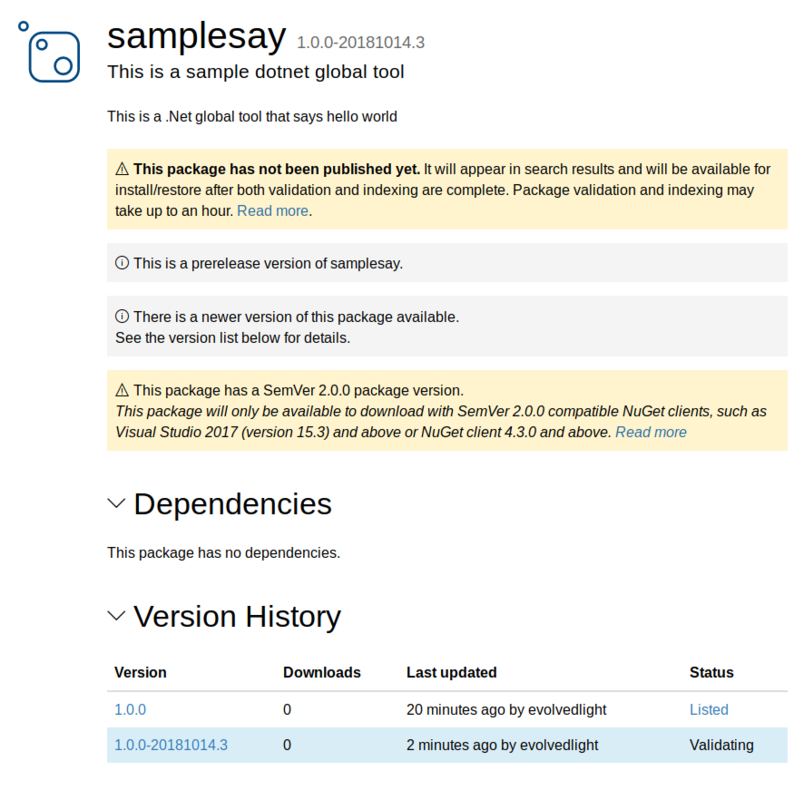 Time to test it, run dotnet pack and then dotnet tool install --global --add-source ./nupkg samplesay to check it all works. 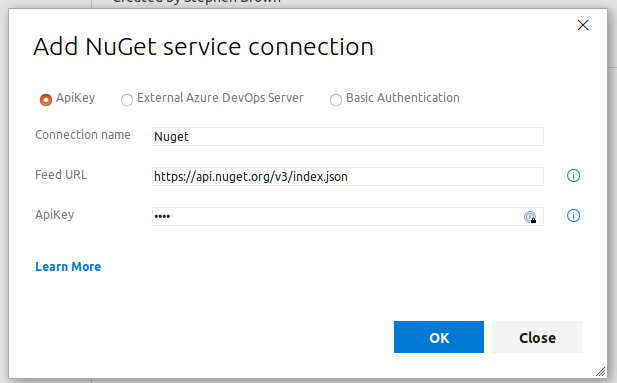 Next, upload the first version of your nuget package to nuget.org. 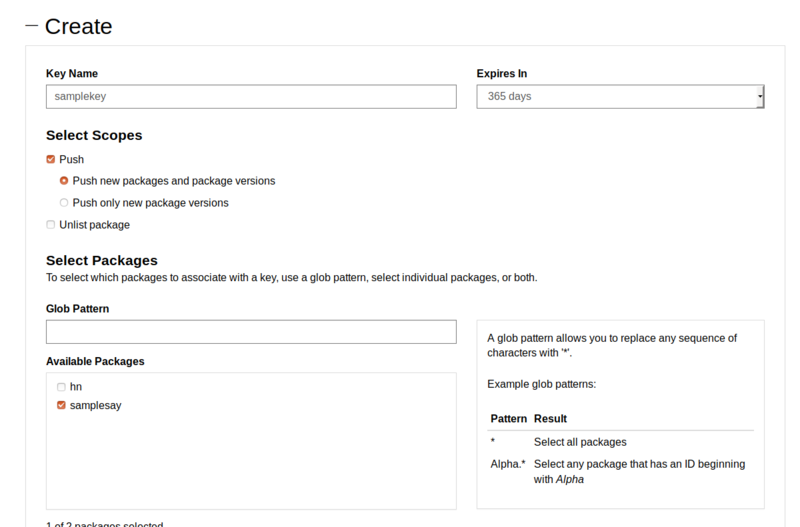 You’ll need to login, click “Upload”, then find the nuget package you entered. Leave the fields the same for now - you can fix these later. Your package will show as “validating”. Click “Create Project” after signing up, call it whatever you want. In this case I’ll call it dotnet-samplesay. We’ll need to get an API key for our project first - head back to Nuget.org (https://www.nuget.org/account/apikeys) and create a new API key. Copy the key - be aware this is the only time you can do this, so make sure you keep it safe. Once the project is created, click “New Pipeline”, then “Github”. You could have of course put this also in Azure Repos. Follow the wizard to authorise with Github, and choose the repo. 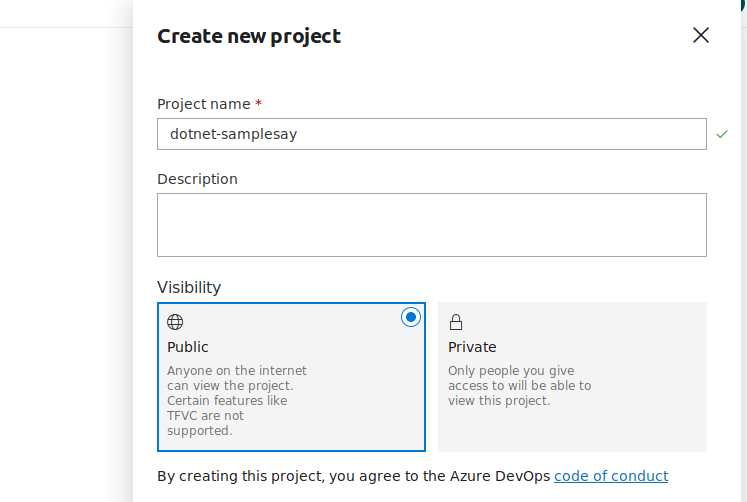 Thanks to our azure-pipelines.yml file, everything should be set up. Let’s press run, and check it builds. And your package will be listed and validating.